There are 299 homes in the subdivision with 0 vacant lots. Square footage is between 1550 sf – 4400 sf with a year built range from 1997-2007. 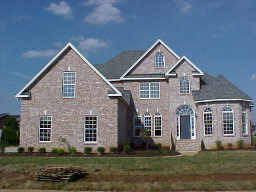 3-5 Bedrooms, 2 – 3 1/2 Baths, 2 Car Garages, all brick exterior finish. From I-24, take exit 81A / 231s, 5 miles turn right on Innsbrooke. The Innsbrooke subdivision is close to local shopping, including great proximity to The Avenue, Stones River mall, Wal-Mart, and Publix. Though the Innsbrooke subdivision does have an HOA fee, primarily to assist with the maintenance of public areas. Innsbrooke is close to Barfield Elementary, Christiana Middle, and Riverdale High.